How can African governments pay to expand their safety nets? Expanding the coverage of safety net programs in Africa represents a serious fiscal challenge. While there is substantial variation across countries, on average governments in Africa spend about 1.3% of gross domestic product (GDP) on social safety nets (see figure). This is lower than the spending on other sectors such as energy, health care, education, and, in some cases, the military. Crucially, this level of spending is inadequate to face the high chronic poverty rates and vulnerability to shocks households face in Africa. 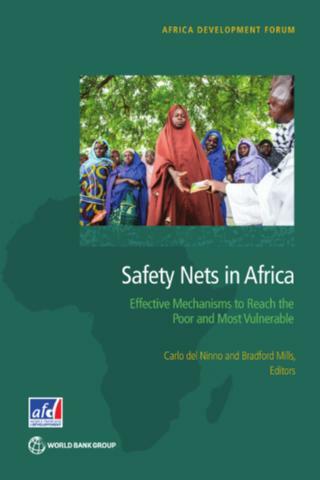 Safety nets have the potential to play an important role in protecting the well-being of poor and vulnerable households in Sub-Saharan Africa. In the world’s poorest region—and also one of the most unequal—targeted social program transfers are an effective way to fight poverty and ensure shared prosperity. But social safety net resources are limited and identification of households with the greatest need is difficult in most African countries. Evidence of effective safety net program targeting is needed to justify using existing resources, to gain support for additional investments, and to guide country efforts to improve social safety net coverage of both long-term (chronic) poor and short-term (transient) poor households.